◆ Now you have the option to choose smart opponents from a list of two. The matching algorithm has also been improved. ◆ New users can download the app for free and play 3 games for free before they upgrade to premium. So start inviting all your friends. Pop the letters from your brain on to your fingers and score away! LetterPop is a simple word-building game you play with friends. Build the longest word and win! Show off your mind’s wordbook and prove that your words are worth it. Use of this application requires Facebook login. ◆ You have three 90 second rounds in each game. ◆ You get 15 random letters in every round. ◆ Your opponent gets the same sets of letters. ◆ Whoever forms the longest words wins. ◆ Playing with friends is so much fun. 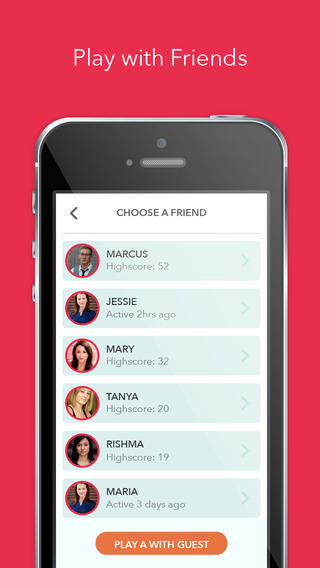 ◆ Compare yourself with your friends and top players. ◆ Simple UI combined with delightful animation makes the app a pleasure to use. ◆ Show off your score via twitter/facebook/Whatsapp. ◆ Challenge the opponents of your calibre with our smart match option.